No holiday list would be complete without this classic from Dickens. I admit to crushing on him quite a bit. Two great things about the book version: it’s appropriate for children (ages 8 and up) as well as adults AND the kindle version is FREE! As for the movie, I know there have been a gazillion versions made, but the 1951 re-make with Alastair Sim is my personal favorite. Yet another man I secretly crush on – the Grinch. Again, this book is a GREAT gift for a child and yes, I know there is a full-length, digitized movie version, but I love the original 1966 cartoon so, so much. 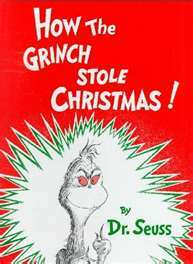 Everyone has seen the movie about Ralphie and his quest for a Red-Rider BB Gun, but not many realize this silly holiday tale was based off of an actual book written by Jean Shepherd. This was one of the rare times when I actually watched a movie before reading the book. In this case, it was because I hadn’t realized there was a book. I have to say this movie is not stellar, but it is fun to watch over the holidays and the premise of skipping all of the hoopla is quite appealing to me. 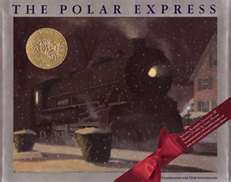 What are your favorite holiday books and movies?